February is a month tagged as the “month of love” all across the world. 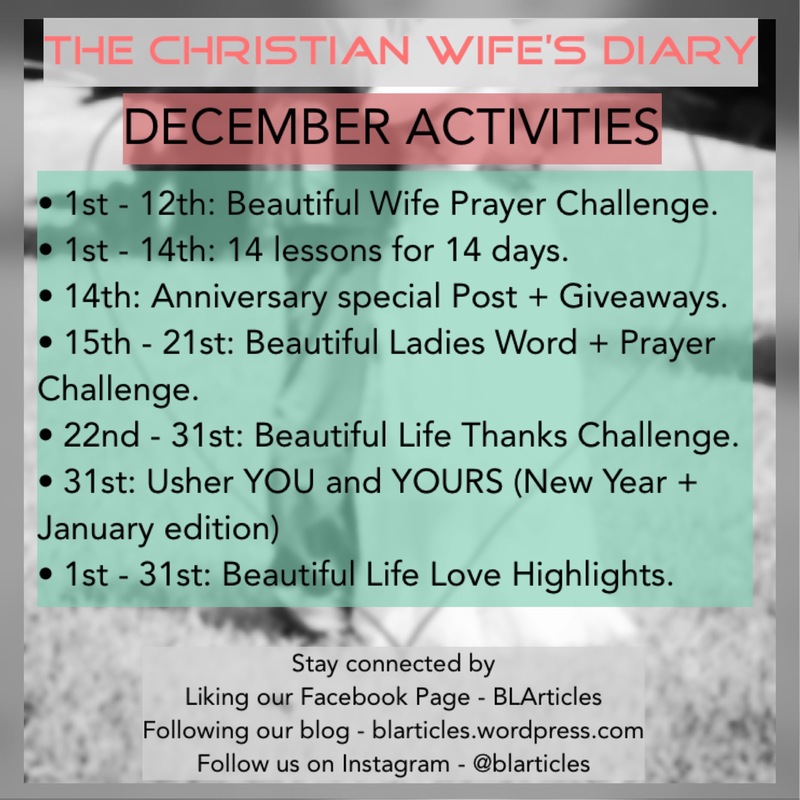 Here at BLArticles, “The Christian Wife’s Diary” has ours tagged to December because it is a memorable month and we would want it to be for you as well. In the month of December, we have a lot of lovely things happening and I invite you all to participate. This will be our maiden edition, first of its kind and will be an annual program going forward. God has helped us to have the whole month filled with Beautiful activities that are not time consuming but packed with all the beauties of Life. Take a look at our activities and you will find that there is one just for you and if it’s all you would be participating in, why not. Stay connected here and through our other social media accounts and don’t miss out on anything at all. Have a beautiful December with all the beautiful lots that come with LOVE!